I thik this is one of the seasons with more interesting new TV series already confirmed (not forgetting others still on production). Will be impossible to follow every of them! Dickensian, brings together some of literature’s most iconic characters, including Scrooge, Fagin and Miss Havisham, as their lives intertwine in 19th century London. Flesh And Bone, U.S. Starz series on a Ballet company that has Ben Daniels as their volatile artistic director! From Darkness, a new psychological crime drama with a great cast: Anne-Marie Duff, Richard Rankin, Luke Newberry, Johnny Harris, Caroline Lee Johnson, Leanne Best, Cora Tsang. Home Fires, a group of inspirational women in a rural Cheshire community are preparing to keep the Home Fires burning (on WWII). Jekyll & Hyde, Robert Jekyll, grandson of Dr Jekyll on a quest to discover his real identity, his true family history and the nature of his ‘curse’. London Spy, drama series with Ben Whishaw, a story of a chance romance between two people from very different worlds. Luther new season, with John Heffernan in one episode. Red Oaks, comedy series young tennis player. Sherlock new season maybe to be filmed next year, but they will air a Christmas special episode. The Five new series with Lee Ingleby (let’s hope we get more season of Inspector George Gently as well). The Hollow Crown, but we have to wait 2016 for the new season. The Job Scottish series on cops, with Richard Rankin and Adam McNamara. The Nightmare Worlds Of Hg Wells: ‘The Late Mr Elvesham’, with Luke Treadaway, but no release date, yet. The River drama with Nicola Walker. Unforgotten drama with Nicola Walker. War And Peace with Paul Dano, Lily James and James Norton. The Night Manager, with Tom Hiddleston. I saw the trailer before “From Darkness” by chance. Versailles, this is French, a Twitter friend suggested it to me. 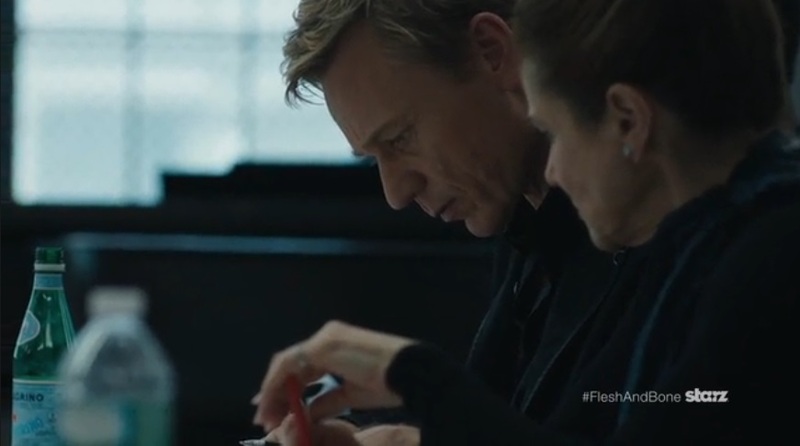 New video insider peek of the incoming U.S. TV series “Flesh And Bone” with the fantastic Ben Daniels in the main role! Premieres November 8 on STARZ Channel. I can’t wait to see Ben playing a volatile artistic director in a series on Ballet! I’ve great expectations!